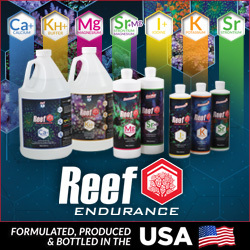 Fresh off the success of the 1mm pellet coral food that made its debut late last year, Coral Frenzy is gearing up to launch yet another pellet product. Tipping the scales at 0.5mm, this new pellet food is obviously smaller than its big brother, but we assume that it will essentially be the same product just wrapped up in a smaller, more gobble friendly size. Where the larger pellet was ideal for LPS corals, this new size will likely be aimed at fish of various sizes. Of course, this is all just speculation at this point, as Coral Frenzy hasn’t announced any details. For the record, we love pellet products. They just make so much sense. While we recommend varying the day-to-day diet of your aquarium (fish and corals), we find ourselves hitting up the pellets way more often than not. Think about it, all of the nutrition your tank inhabitants need less the hassle of defrosting the food prior to use. Couple that with the fact that the food sinks or can be mushed into a flat, almost flake-like shape, and you’ve got a product that can feed virtually everything in the tank. Oh yeah, a whole bunch of pellets can be smashed together to make a mega-pellet that can feed large-mouthed fish. 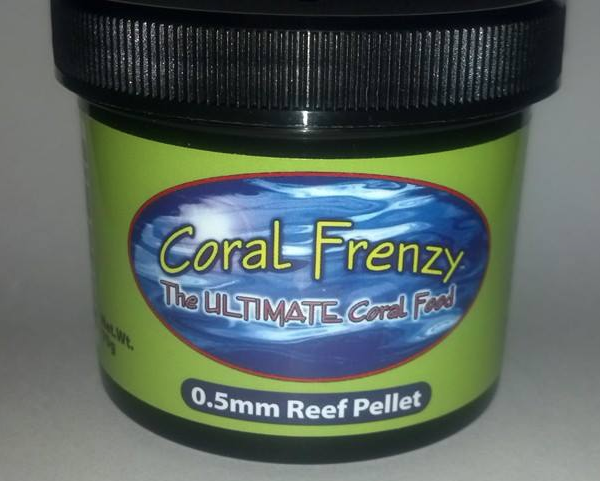 So yeah, you could consider us fans of pellet foods, and Coral Frenzy has another product that is sure to deliver.